Jesus Culture is finally back with their anticipated sixth project, titled Awakening: Live from Chicago. Recorded on August 3-5 at Chicago’s Allstate Arena, the double-disc album, with its total of sixteen tracks, will have you worshiping along and soaking in the presence of God that flows through the speakers. The raw worship project opens with “Awaken Me” (sung by Jesus Culture’s Chris Quilala), a cry that God would shine His light on us and cause this generation to wake up from their slumber. The pounding drums definitely accompanied the high-energy opening track well, which is followed by Kim Walker-Smith’s “Father of Lights” and “Perfect Love” (a reprise). They reminds us that love has a name and a voice, called Jesus. In this set of songs, we also hear Kim encourage the audience to shout out to God what’s on their heart and sing to Him a new song. Hardly ever do you hear that kind of admonition in Christian music anymore – already you can sense the presence of God that is present at Jesus Culture’s meetings. The timeless and simple “Break Every Chain” is very powerful, simply reminding us that “there is power in the name of Jesus to break every chain.” Hearing the live audience shout out along is always very inspiring. The energetic “Glorious” speaks of the majesty of God, while the slower but beautiful “Burning Ones” is a declaration that, we, the people of God, are passionate for more of God. It continues with the “Holy Are You (Burning Ones Reprise),” very worshipful and passionate. “My Everything” speaks of finding contentment in God alone – that He is all we need. Very worshipful, this track extends for over nine minutes. In “Nothing But the Blood,” the unity of the whole crowd singing out the familiar lyrics of this hymn at the top of their lungs can easily be felt. "He is Faithful," a timeless declaration of the faithfulness of God follows, with a song of complete surrender (“I Surrender”) following next. But the highlight is clearly the powerful line, “Your love makes it worth it all,” as the song emphasizes there is no one greater than Jesus Christ. “We are Hungry” and “Fill Me Up” both follow aptly, the first stronger than the second. Both have a powerful message of craving more of God’s presence in our lives, which stands out through this record and Jesus Culture’s music as a whole. In "The Anthem," led by Jake Hamilton, we are reminded that God is calling us all for a special purpose: “And now I hear the Spirit calling me/ wake up child/ it’s your turn to shine you/ you were born for such a time as this.” The upbeat “Holding Nothing Back” commits to giving God every part of ourselves for His usage. The album closes with a freedom song. “Dance” speaks of getting up and moving when the worship starts, and asks the question, “Why should I be still when the music starts?” I was very happy with the powerful, exciting, and freeing ending to Jesus Culture's Awakening CD. Jesus Culture is one of the most passionate worship bands you will find out there. It’s obvious they put their hearts into the music they play and follow the leading of the Holy Spirit, but listening to it unfold on this live project is an exciting and inspiring experience. 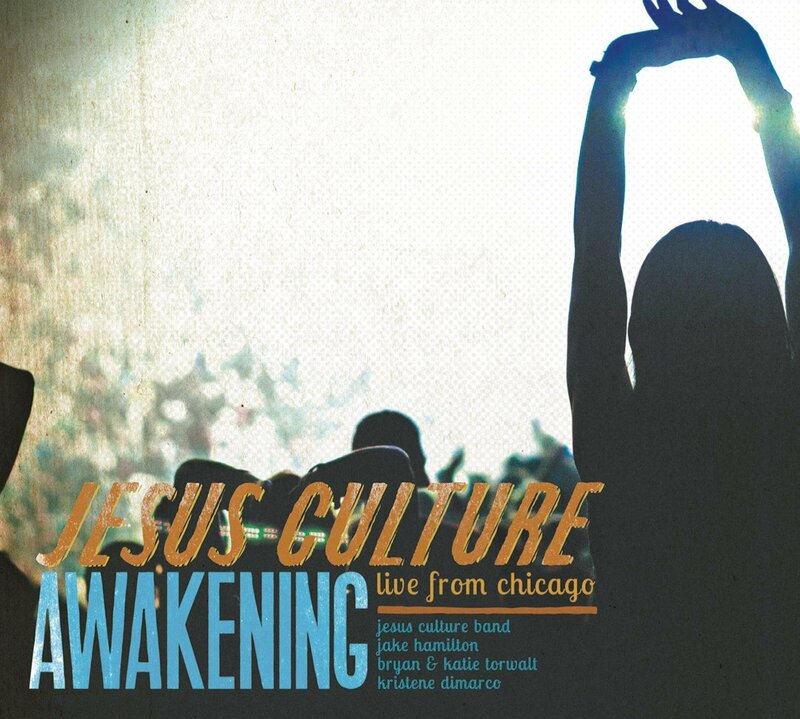 Awakening: Live From Chicago is a heart-felt, worshipful album! Good album review for the new live album from Jesus Culture. Looking forward to getting the album as soon as I can. James, thank you for pointing that out. I'm pretty sure the album's track listing was rearranged after I received a review copy. I have changed it now -- thanks again!